The mark of a true classic is that it becomes more relevant with the passage of time. 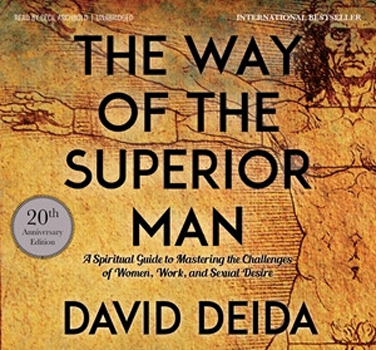 For more than 20 years, David Deida's The Way of the Superior Man has been teaching "how a man can grow spiritually while passionately tussling with the challenges of women, work, and sexual desire." Today, men of all ages continue to struggle with these universal dilemmas, and the practical insights found in this book will help each one of us to give the gifts we were born to give. "It is time to evolve beyond the macho jerk ideal, all spine and no heart," writes David Deida. "It is also time to evolve beyond the sensitive and caring wimp ideal, all heart and no spine." Including an introduction by the author celebrating The Way of the Superior Man's 20th anniversary, this unabridged audiobook invites a new generation of men to participate in the full expression of consciousness and love in the infinite openness of the present moment.